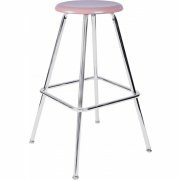 Bright chromed legs are made from strong 18-gauge steel. 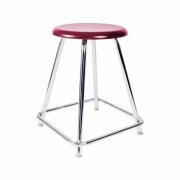 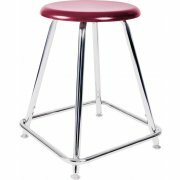 Hard Plastic seat is firmly attached to the legs by nickel-plated, steel rivets, Available in 30" fixed height, as well as an adjustable model that adjusts from 18" to 26" in one-inch increments. 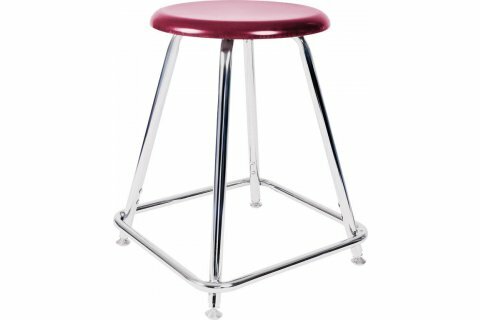 A wide variety of seat colors are sure to match any decor.